Parents all walk a fine line. The line between capitulating to your child’s desires and running the risk of spoiling them, or of saying no and disappointing them. No parent enjoys saying no to their child. We all flinch internally at that pained face of disappointment even though we know that disappointment is both normal and healthy for developing young minds. Disappointment makes us better people. It teaches us adversity which makes us fight harder, push more and assert ourselves. On the other hand, when we give our children what they want all the time, we get the little thrill of seeing their faces light up. We get to see that fleeting moment of unabashed joy when they open a special present or are about to tuck in to a glorious hot fudge sundae the size of their head. But at the same time we know that this is not sustainable and that to capitulate to their every demand would be to fail them in the long run. If we give our kids what we want whenever they want it, how can we possibly prepare them for the realities of adulthood. Nobody, after all, wants to raise a spoilt and entitled brat. While the issue is complicated enough when it comes to bikes, clothes, toys and games, it’s even more contentious when it comes to pets. When your child tells you they want a dog (and if they haven’t yet, they probably will) it may be hard to answer definitively. You, personally, may have wanted a dog for some time but held off because you weren’t sure if your child was ready for the responsibility. What if your son or daughter fails to live up to their side of the bargain? What if they renege on their promise to walk and feed it every day? Will you end up doing it for them? Or will you nag them about it and risk demonizing yourself? What if your child and the dog don’t get along? What if the dog bites your child? What if the dog bites a neighbor’s child? What if a placid and playful pub becomes an aggressive and powerfully built dog? You could find yourself embroiled in one of those dog bite injury cases and risk alienating yourself from former friends and neighbors. You could drive yourself crazy thinking of all the things that could go wrong. But you need to place trust in yourself and your child. If you handle the situation correctly, you, your child and your new pet could spend many happy years together. Here are just a few ways in which you can handle it right. Starter pets: No, just… No! You may have read on some blogs that a ‘starter pet’ is a good way to gauge how responsibly your child may look after a dog. You may have read that guinea pigs, hamsters or rabbits are good candidates or a ‘starter pet’ but this logic is not only fallacious it’s actually kind of upsetting. We’re talking about living creatures! Guinea pigs and hamsters are sensitive, loving and fragile creatures that deserve love and respect. If you are giving your child one of these pets as a precursor to dog ownership will they really give it the love and attention that it desperately needs? What if the experiment fails? Will you simply abandon the project and rehome the poor, confused creature? By all means get your child any of these pets but only if you will be encouraging them to give it the love and standard of care that it needs and deserves rather than using it as a litmus test for dog ownership. Before getting a dog, it’s essential that your child knows the right way to look after it and how to accurately interpret its behavior. 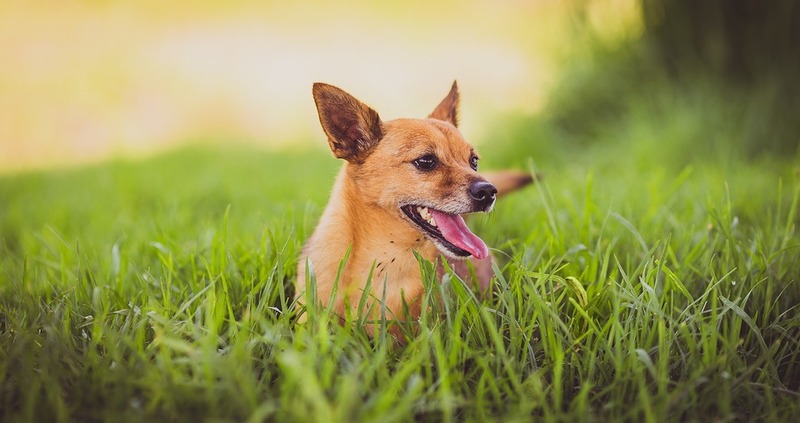 Many dog bites are caused when a child misreads a dog’s expression or body language and unknowingly exacerbates a tense situation for the dog which the child misconstrues as harmless play. Children are obviously excitable but they’re also tactile and handsy by nature. How many times have you seen a child run towards a nervous looking dog with arms outstretched? It’s important to remember that dogs are highly evolved scavengers who are genetically hardwired to expect to fight for their food. Fast moving hands, especially when accompanied by a loud noise like a squeal of excitement, may be misread by the pup as a sign of aggression. Thus, your child first needs to understand the importance of containing their excitement and not charging in to give their new friend an onslaught of affection. Instead they should try and remain still, hold out their hand and wait for their new furry bff to come to them. They should also understand that mouthing and nipping are normal forms of play for dogs and not the same as a bite. You should also draw up a contract with your child explicitly outlining their responsibilities and duties. By all means reward them for taking exemplary care of your pet, but ensure that there are punitive measures in place should your child fail to live up to their duties. Of course as important as it is to prepare your child for their first meeting with your dog, you should also make sure that your dog is ready to meet your son or daughter. If you have a pup it will also be excitable and playful just like your child. And just like your child its excitement may escalate to inappropriate behavior. If you have time, teach it some rudimentary commands like “sit”. This is a great default position to help it to calm down and assert itself when overexcited. 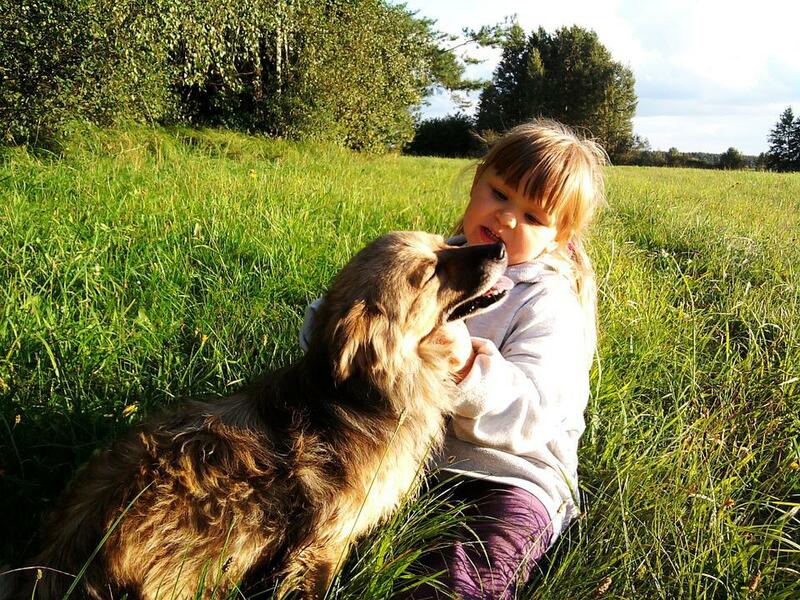 When your child and your dog are well conditioned to meet one another, they can look forward to years and years of loving and happy memories together.